Is high blood pressure related any way to impotence is a million dollar question. Further whether drug treatment in male hypertensives is going to yield satisfactorily results in impending erectile dysfunction. The magnitude of problem of high blood pressure is gigantic and it’s adverse effects on heart, kidneys, brain and eyes are well established.But eqalley important is to explore it’s effect on sexual function which is the way of life. 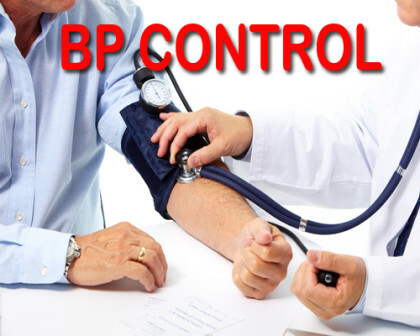 A new study has found that a tighter blood pressure (BP) control in adults with hypertension is associated with delayed onset and incidence of erectile dysfunction (ED) or impotence. The recent study has been published in The Journal of Sexual Medicine. Tighter blood pressure control is widely thought to be associated with better erectile function. However, there is limited data on the association between the degree of blood pressure control and hypertension. Wayland Hsiao, Department of Urology, Kaiser Permanente, Oakland Medical Center, Oakland, CA, USA, and colleagues conducted this retrospective cohort study to determine the association between optimal blood pressure control over time and the development of ED in a cohort of potent men. For the purpose, the researchers enrolled 39,320 men (age, 26-60 years) newly diagnosed with hypertension without major medical comorbidities or previous diagnosis of ED. The patients were categorized according to the exposure to hypertension with varying systolic BP levels (<120 mmHg, 120-139 mmHg, 140-159 mmHg, and ≥160 mmHg). Average systolic BP <120 mmHg was used as a reference level. Of 39,320 men with hypertension, 5476 (13.9%) were diagnosed with ED. Higher average systolic BP was associated with increased risk for ED in a dose-dependent manner. Overall time to diagnosis of ED was longer with lower average systolic BP. The incidence of ED was higher in patients with normal variation in average systolic BP control vs those with a wide variation in average systolic BP (14.4% vs 18.1%). Variations in systolic BP >1 standard deviation (SD) was associated with a higher incidence of ED and shorter time to development of ED. Based on the findings, authors concluded that among adults diagnosed with hypertension, tighter blood pressure control, as measured by average systolic blood pressure and deviation from the average, is associated with a lower incidence and a longer time to the development of ED. “The findings may be helpful for physicians attempting to motivate their male hypertensive patients to adhere better to antihypertensive regimens,” suggested the authors.